Here is a mod that is inspired by “The Legend of Zelda” and other classic games. 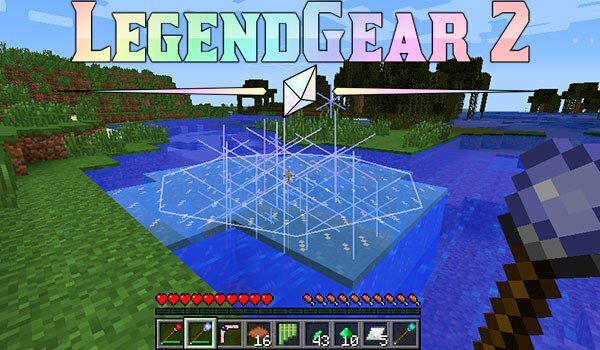 LegendGear 1.7.10 is a mod that add several elements, including some that you may know if you have ever played Zelda, two new plants will be generated in your worlds (one of them will give us bombs) as well as new grocery items and accessories. Some examples of these new objects are, a magical boomerang, the “Quiver” that allows us to store up to 200 arrows in one place, a bag to store all the bombs and “Hookshoot” which allows us to throw a rope to get inaccessible places. These are just some of the various elements that we find in this mod, as magical medallions, among others. How to install LegendGear 2 Mod for Minecraft 1.7.10?